Time to get into teen angst mode. 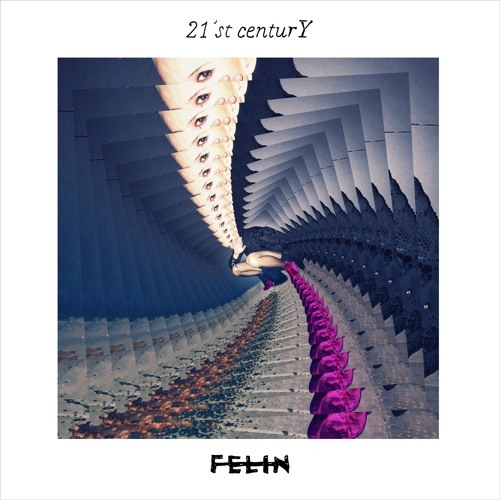 Swedish audio-visual duo F E L I N, consisting of songwriter/artist Elin Blom and photographer/director Fredrik Etoall, have unveiled their brand new single 21st Century. Being compared to the likes of early The Ting Tings, Yeah Yeah Yeahs, La Roux, and Gossip, the infectious tune will potentially have you singing the chorus all the way into the next century. Co-produced by Elin herself, the song is driving, ballsy and filled with vigorous ‘Go get it’ energy. Loving it! Stream it below! We’re the lost generation. The generation where the image of caring is more important than to actually care. The generation where it’s more important to get likes than to be liked. The generation where how you look on the outside is more important than how you feel on the inside. We get more lonely each day even though we have the whole world just one click away. We’re living in a fantasy world without boundaries while the world outside gets more and more fucked up. But in the end will we also be the generation who actually makes a change in the world? No matter what we decide to do we’re still going to be the future of the 21st century so let’s make it a future we want to live in. We wanted to catch this struggle between all the bad that’s going on in the world right now as well as all the beauty and joy that is available to us. Cuz there are a lot of good things and the good things are meant to be enjoyed as long as we don’t lose ourselves along the way. The upcoming video will capture this struggle; the craziness, the never-ending party, but also the darkness that comes with it. F E L I N is a project where one artist meets another through sonics and images. Soon after they met and began working together, they fell in love, are still in love and make the ultimate professional and private power couple. Proven to be a big success, Elin and Fredrik have already worked with the likes of Icona Pop, Tove Lo, Adam Lambert & The Rolling Stones.